Location-based services that remind you about to-dos when you're on the go are exactly what busy mobile professionals need. A new service, ReQall Pro ($3/monthly or $25/yearly), gives you reminders that are tied to specific locations. Unfortunately, in its current incarnation the service doesn't go as far as I'd like, because it's hampered by some technological limitations beyond ReQall's control. Even so, it's worth a try. In concept, what I'm looking for is a service that ties a specific to-do item or shopping list to a specific GPS coordinate, then gives me an audible reminder (like a buzz on my mobile phone) when I'm approaching that location. For example: Recently I needed to refill a prescription at a nearby Walgreen's. Wouldn't it be nice if, as I approached the Walgreen's my phone would automatically ping me to pick up that prescription? That's the concept, anyway. But the technology isn't there yet, at least with ReQall Pro. ReQall Pro, unlike the free ReQall service, offers a feature called "location-based organization and reminders." You can use this feature via the free ReQall app for Apple iPhones and RIM BlackBerry smart phones. To set up a location-based reminder, you must first create a "place" in ReQall. 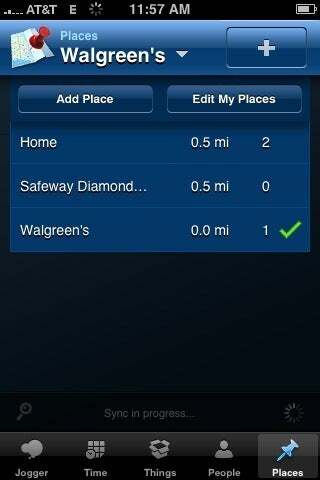 And to do that, you must physically visit the location--in this case, the drug store--and add it as a place in the reQall app on your iPhone or BlackBerry. Using your phone's GPS, ReQall assigns the appropriate coordinates. 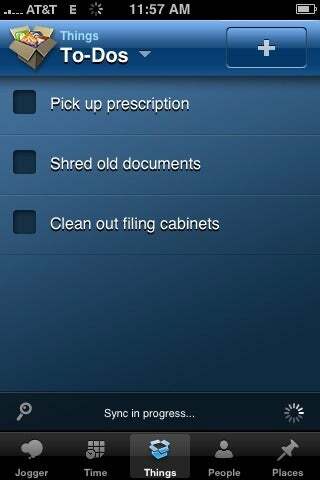 Next, you create a new to-do item in ReQall, in this case "pick up prescription." You can do this by speaking into your phone. (ReQall Pro and the free ReQall service, like Jott, another on-the-go productivity tool, perform voice-to-text transcriptions.) You can also type the reminder into ReQall on your phone or create it by logging into your ReQall account on the Web. Then you assign "Walgreen's," or whatever the appropriate location is, to the task. Later, when you're near the location, you would whip out your iPhone or BlackBerry and open ReQall. In my example, "pick up prescription" was displayed at the top of my to-do list in ReQall, and at the top of the list in ReQall's "Memory Jogger" feature. This is what ReQall means by location-based reminders. The GPS in your phone tells ReQall where you are, and the app then prioritizes your tasks, showing you those closest to your current location first. This means you must remember to open ReQall to see your reminders; you don't get automatic reminders as you approach a location. 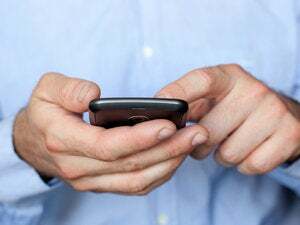 The reason is that iPhones don't allow third-party apps to run in the background while the device is off, explains Sunil Vemuri, chief product officer and ReQall cofounder. While BlackBerrys do allow apps to run in the background, Vemuri says ReQall is gauging how users want to receive reminders before proceeding with development plans: "Do they want their phones to vibrate, to chime, to display a pop-up icon? How much of an alert do they want? That's what we're talking to BlackBerry users about," he says. Vemuri says push notification, which Apple has said it is adding to the iPhone 3.0 software due this summer, will give ReQall more opportunities to deliver reminders to those smart phones. But the inability to run in the background on an iPhone will still prevent ReQall, even when running on the iPhone 3.0 software update, from automatically reminding you as you near a GPS location, he explains. In addition, Vemuri says ReQall is working on a feature that lets you create a new place without having to physically visit the location. He didn't say when this feature would be added to the service. Though ReQall Pro's location-based reminders fall short of the ideal, they can be a handy way to have your tasks organized for you, in context of where they need to happen. ReQall Pro offers a few other features you don't get in the free ReQall service, such as the ability to receive reminders via text message; direct integration with Google Calendar and Microsoft Outlook (enabling you to, say, create a new Outlook appointment by speaking into your phone); and the ability to organize tasks into groups, among others. Both ReQall and ReQall Pro offer tons of other features, and the ReQall site does a good job listing the differences between the two services. Unfortunately, because ReQall Pro offers so many features, it took a little while for me to figure out how to use the iPhone app. Voice-to-text transcriptions sometimes took 8 to 15 minutes, in my experience, which is much longer than Jott's 1 to 10 minutes voice-to-text transcription. Jott also makes it a bit easier to begin a voice recording. Overall, however, I'd recommend at least giving the free ReQall service and smart phone app a try. Once you become familiar with them, you might want to give ReQall Pro a spin (you can try it free for 30 days). Hot Trend--Hackintosh Netbooks: As of this writing, Apple hasn't released or announced a netbook. But that hasn't stopped many people from transforming their Windows or Linux netbooks into "hackintosh" netbooks. Check out our sibling publication InfoWorld's step-by-step instructions (based on a Gizmodo.com how-to) on installing the Mac OS on a Dell Inspiron Mini 9 and turning Dell's netbook into a Mac-based "cloudbook." But beware: Following these steps violates Apple's Mac OS X end-user license agreement and voids Dell's warranty. Apple and Verizon Talking? Reports are circulating that Apple is in talks with Verizon Wireless to launch an iPhone for the carrier's network. The iPhone could be available to Verizon customers as soon as 2010, USA Today reports. But how valid are the rumors? One big reason why this might not happen: The current iPhones work on GSM networks, and Verizon Wireless's network is CDMA. Apple would have to develop a new iPhone to work on Verizon's network. Apple--at least under Steve Jobs--has taken pains to streamline its product offerings. Most Anticipated Ultraportables and Netbooks: Stroll through our gallery of the ten most hotly anticipated portable computers, and you'll find the MSI Wind U115, expected to cost under $700. It's touted as the world's first hybrid-storage notebook, equipped with a 160GB hard drive as well as a solid-state drive (8GB or possibly 16GB). The SSD will run the operating system and applications. Why both? The idea is that when you're mobile, you can turn off the power-draining hard drive and just coast on the more energy-efficient SSD. MSI says the laptop will last from 12 to 20 hours with a six- or nine-cell battery, respectively. Contributing Editor James A. Martin offers tools, tips, and product recommendations to help you make the most of computing on the go. You can follow him on Twitter. Sign up to have Mobile Computing e-mailed to you each week.